I was once asked to conduct a security assessment of a church and provide feedback to recommended security measures. I was asked because there had been a string of robberies during church offering which had gone unpublicized at the request of the churches to deter more robberies. Apparently there was a credible threat against the church and its pastor. The church leadership was visibly concerned for the pastor and his family. To be honest, most of my recommendations had already been implemented as this church had several former police and military parishioners. Most of the leadership has purchased firearms and taken several courses including one to gain concealed carry permits. They had implemented security cameras but I recommended a few more and I suggested they install a duress system for the police department as well a several other things. The point is, this was a church with real concerns for their safety. Where they had not considered weapons on church property before, safety concerns prevailed and a rational approach was taken. It was not insane. It was actually a little unsettling they needed to go to that extreme just to worship. In total honesty, it was not a safe building design to begin with. A lot of security problems. It's a disgrace. I don't care. Thanks for the compliments along the way in your thoughtful post above. I think I'll bow out of this discussion, having said all I can usefully say, except to suggest that background checks shouldn't be too difficult to implement: ban anyone with a conviction for violent crime (not any crime - no need to ban a fraudster, for example) from owning guns for a fixed period after their sentence is served. That seems eminently reasonable to me. I don't bother with a Jacuzzi - I just fart in the bath. 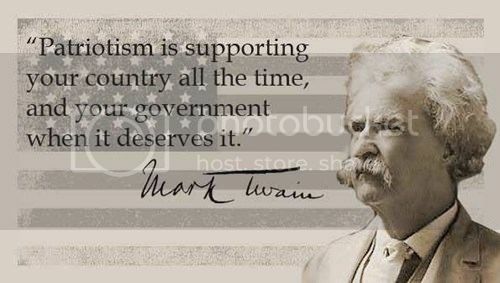 Tell that to the U.S. Senate of April 2013. Valid reasons the universal background check bill failed in the Senate. DAN wrote: To be sure, I'd feel a lot more comfortable trying to deal with a knife-wielding maniac if I had half a dozen stout fellows working with me. And I'd feel a lot more comfortable trying to deal with a knife-wielding maniac if I had my handgun on my. SteveH wrote: However, insisting on a background check before a gun can be sold couldn't do any harm, surely? Firstly, the federal government has absolutely no business regulating or being involved in intrastate sales/transfers of private property (even firearms) between private citizens. Secondly, if a sale or transfer of a firearm is interstate or between a Federal Firearm Licensee and a private citizen (interstate or intrastate) regardless of venue, as it stands by law today, a background check must occur. Also if the sale is between to private citizens of different states, regardless of venue, the sale must go though an FFL which, by law, requires a background check. Thirdly, many states require background checks for intrastate sales/transfers of private property between private citizens. That's where the decisions and any legislation regarding intrastate transfers it belong --- in the state legislatures, not the Congress. The mantra you hear from the media about a "gun show loop hole" and internet sales are lies and distortions of truth. The rules above still apply, regardless of venue. You beat me to it. If you buy a firearm from a dealer at a gun show, you are getting a background check. Period. If you buy from a private collector or some other person, no background check. And, frankly, why should I have to give some knot head off the street all my most private information? What is he going to do with it afterwards? I just bought a Uberti Bird's Head from a private collector at a gun show here in Lubbock. He asked to see my ID to make sure I was who I told him I was. That was more than required and it didn't bother me but someone next to me said, "You have no right to ask for his ID!" The fellow said, "That's true but I don't have to sell it to him, either." He explained that he didn't want people buying for cartels. I told him I understand but what would the cartels want with a single-six? He chuckled and said that it was just habit. UncleBob wrote: If you buy from a private collector or some other person, no background check. Unless the sale is interstate. FFL required then which requires a background check. If I, in Virginia, chose to buy a pistol from someone in OH (say an internet sale), the sale will have to be processed through an FFL in VA. If I chose to trade a firearm for the Ohioan's pistol, the firearms trade must transact through FFLs ---- the arm I gain must be processed through an FFL in VA, and the firearm the Ohioan gains must be processed through an FFL. Transaction with and through FFLs require background checks. Federal law. Feds have a reason to be involved in interstate transactions. though I'll stick to my guns in stating the feds have no business in intrastate transactions. “Anyone who was just walking by – you had parents and children coming in for the game – and he’s just standing here, walking around [saying] ‘You want to see my gun? Look, I got a gun and there’s nothing you can do about it.’ He knew he was frightening people. He knew exactly what he was doing,” said parent Karen Rabb. Reminds me a little of a conversation I once had. Guy was convinced I just didn't understand because I'd never had a friend or relative that'd been shot. If I had, he thought, I'd be down on guns, too. There didn't seem to be any room in his cranium for the thought that a gun might have SAVED one of my friends or relatives, or, indeed, that guns ever save anyone, though of course they do. The Floyd County Police are investigating a shooting incident that occurred at 3365 Cave Spring Road. This incident occurred at approximately 3:15 a.m. One person was pronounced dead at the scene and three others were wounded in the incident, identities of the victims are being withheld pending notification of the families. The investigation is ongoing at this time. Which is all the more reason to carry. The man was guilty of brandishing under federal law: "...the term “brandish” means, with respect to a firearm, to display all or part of the firearm, or otherwise make the presence of the firearm known to another person, in order to intimidate that person, regardless of whether the firearm is directly visible to that person." Last edited by hogleg on Mon Apr 28, 2014 4:15 am, edited 1 time in total. 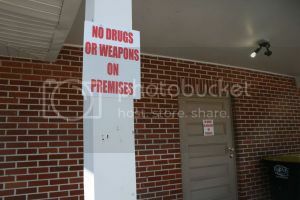 article wrote: A “no drugs or weapons on premises” sign is posted on the front of the Chevy Club. All the more reason to carry?! Ok I'll bite, colour me curious... why? Y'know this resembles the cold war a little. Cockroaches in a coke bottle. Please tell me you don't shoot people for pistol peacockery, right? Rusty wrote: All the more reason to carry?! Ok I'll bite, colour me curious... why? What do you think is the likelihood of that man being a threat? Low. He's excited by the Georgia law and demonstrating his excitement. Remember Walt Wawra? That's the inverse of the Georgia problem. Rusty wrote: Low. He's excited by the Georgia law and demonstrating his excitement. The law will have no effect on what he did. Regardless, that law, though enacted, isn't in effect yet.